This summer has been filled with days that alternate between pouring-down-rain and melt-your-face hot. But it hasn’t stopped us from enjoying lots of fun activities. We’ve splashed in the pool, built castles in the sand, said hi to the animals at the zoo, visited the local farmers’ markets, and played games at a local carnival. And that’s all just in a few weeks – there’s lots of summer left! National Potato Chip day is just around the corner and I couldn’t pass up the opportunity to give a little nod to Chef George Crum who is popularly believed to have invented the potato chip as we know it. He was dealing with a finicky customer who complained their fried potatoes were too thick and soggy and kept returning them to the kitchen. Frustrated, Chef Crum cut them as thin as possible, cooked them crisp, and added extra salt. Instead of being angry the customer loved them and they were immediately added to the menu under the name “Saratoga Chips”. 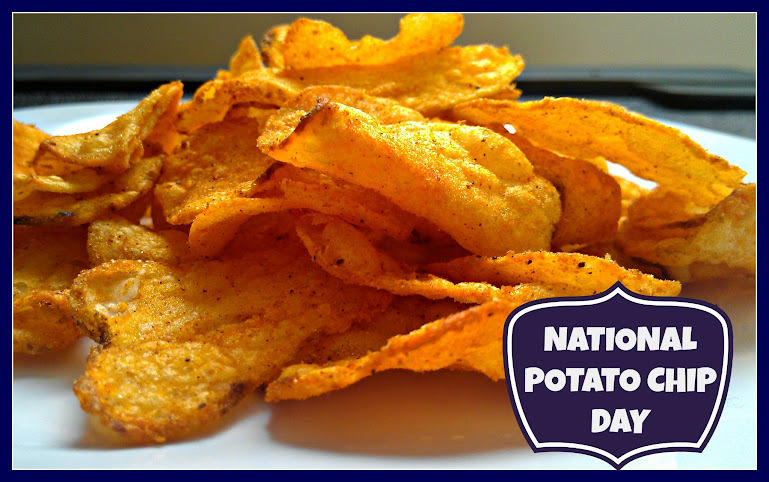 Celebrate Delicious Potato Chips – the #1 Snack Food!